FOR IMMEDIATE RELEASE ARLINGTON, VA — The National Association of Plan Advisors has published its first-ever list of top defined contribution (DC) Advisor Firms. The NAPA Top DC Advisor Firms is a compilation of leading individual advisor firms, or teams, ranked by DC assets under advisement as reported directly by nominees. The National Association of Plan Advisors was created by and for retirement plan advisors. Membership is also open to other retirement industry professionals who support the interests of plan advisors. NAPA is the only advocacy group exclusively focused on the issues that matter to retirement plan advisors. NAPA is part of the American Retirement Association. The American Retirement Association, based in the Washington, D.C. area, is a non-profit professional organization established to educate all types of retirement plan professionals, and to preserve and enhance the employer-based retirement plan system as part of the development of a cohesive and coherent national retirement income policy. The American Retirement Association is comprised of four premier retirement industry associations; the American Society of Pension Professionals & Actuaries (ASPPA), the ASPPA College of Pension Actuaries (ACOPA), the National Association of Plan Advisors (NAPA), and the National Tax-deferred Savings Association (NTSA). More information about NAPA is available at napa-net.org. 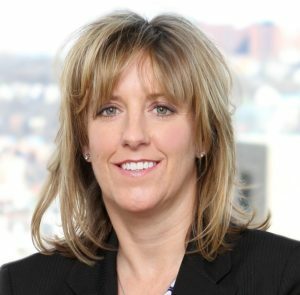 CINCINNATI, OH — October 29, 2015 — Abby Morgan of Eukles Wealth Management in Cincinnati, OH, has been recognized by NAPA Net, the editorial arm of the National Association of Plan Advisors, as a 2015 Top Woman Advisor for her excellence and contributions in the retirement plan industry. Morgan is affiliated with LPL Financial, a leading retail investment advisory firm and independent broker/dealer. NAPA Net honored top women advisors in four categories: All-Stars, who are top producers with their own book of business; Captains, who are All-Stars who are also principals, owners or team captains of their organizations; MVPs, outstanding advisors who are part of a team of advisors; and Rising Stars, advisors who have fewer than five years of experience as an advisor. Morgan was honored as a MVP. Candidates were nominated and voted on by industry members as well as evaluated by a NAPA panel of judges based on information about their practice, experience and accomplishments as provided by nominees. Eukles Wealth Management was established in 2011 to address the financial needs of business owners and individual investors. Eukles helps clients to plan for retirement by providing custom strategies, personal attention, and comprehensive guidance, while offering the benefit of more than 75 years of collective financial experience. Offering a variety of services, including wealth management, financial planning, 401(k) consulting, and asset management, Eukles works to provide every client with a custom strategy to fit their needs. Eukles is committed to bringing financial confidence to its clients, for the long run. LPL Financial, a wholly owned subsidiary of LPL Financial Holdings Inc. (NASDAQ: LPLA), is a leader in the retail financial advice market and currently serves $486 billion in advisory and brokerage assets. LPL is one of the fastest growing RIA custodians and is the nation’s largest independent broker-dealer (based on total revenues, Financial Planning magazine, June 1996-2015). The Company provides proprietary technology solutions, comprehensive clearing and compliance services, practice management programs and training, and independent research to more than 14,100 independent financial advisors and 700 banks and credit unions, enabling them to help their clients turn life’s aspirations into financial realities. Advisors associated with LPL serve an estimated 40,000 retirement plans with an estimated $120 billion in retirement plan assets, as of June 30, 2015. LPL also supports approximately 4,300 financial advisors licensed and affiliated with insurance companies with customized clearing, advisory platforms and technology solutions. LPL Financial and its affiliates have 3,385 employees with primary offices in Boston, Charlotte, and San Diego. For more information, please visit www.lpl.com. LPL Finanicial, Eukles Wealth Management and the National Association of Plan Advisors are separate entities. CINCINNATI, OH — Tim Lysaght of Eukles Wealth Management has been selected as a delegate to the National Association of Plan Advisors’ (NAPA) DC Fly-In Forum, an exclusive gathering of the nation’s leading retirement plan advisors. As a forum delegate, Tim will meet in Washington, D.C. to listen to and brief top congressional leaders about the importance and future of the nation’s workplace retirement plans, and, as advocates for the employers and participants they work with, share how proposed laws and regulations might impact American workers’ retirement security. Tim, a member of NAPA, is one of approximately 200 delegates to participate in the third annual NAPA DC Fly-in Forum July 21-22. NAPA DC Fly-in Forum delegates will hear updates on federal regulations affecting the retirement plan industry from top congressional leaders, including Speaker of the House John Boehner (R-Ohio) and Sen. Jon Tester (D-Montana), who currently sits on the Senate Appropriations and Banking Committees. Discussions about the Labor Department’s fiduciary proposal will include remarks from Deputy Assistant Secretary of Labor Judy Mares, as well as Tom Selman, Executive Vice President, Regulatory Policy and Legal Compliance Officer at FINRA. The topic of Labor Department audits is on the agenda, as well as a special panel of ERISA litigators sharing their insights on the issues, lessons learned, and best practices emerging from the revenue-sharing litigation, including the U.S. Supreme Court’s recent decision in Tibble v. Edison International. On the second day of the forum, delegates will meet one-on-one with their respective congressional representatives on Capitol Hill to share insights from the experiences they have on a daily basis with business owners and plan participants. The National Association of Plan Advisors was created by and for retirement plan advisors. Membership is also open to other retirement industry professionals who support the interests of plan advisors. NAPA is the only advocacy group exclusively focused on the issues that matter to retirement plan advisors. NAPA is part of the American Retirement Association. Based in the Washington, D.C. area, the American Retirement Association is a non-profit professional organization with two major goals: to educate all retirement plan and benefits professionals, and to create a framework of policy that gives every working American the ability to have a comfortable retirement. *Securities offered through LPL Financial, Member FINRA/SIPC. Investment advice offered through Eukles Asset Management, a registered investment advisor. Eukles AssetManagement and Eukles Wealth Management are separate entities from LPL Financial. 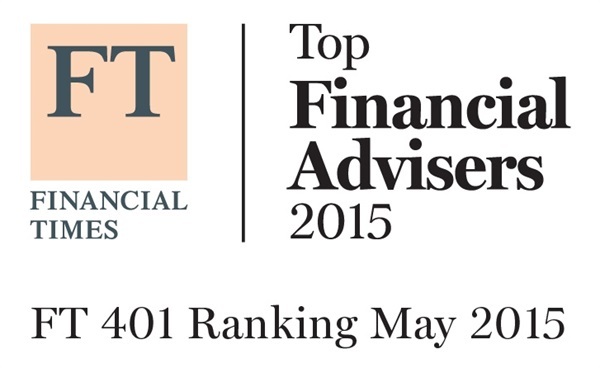 Cincinnati, Ohio – June 1, 2015 Tim Lysaght of Eukles Wealth Management in Cincinnati, Ohio was recently named to the 2015 Financial Times Top 401 Retirement Plan Advisors list. Lysaght is affiliated with LPL Financial LLC, the nation’s largest independent broker/dealer,* an RIA custodian and a wholly owned subsidiary of LPL Financial Holdings Inc. (NASDAQ: LPLA). n rate in advised DC plans; years of experience as a DC planner; industry certifications; and compliance record. Tim founded Eukles Wealth Management in September 2011 and serves as a Managing Partner for the firm. 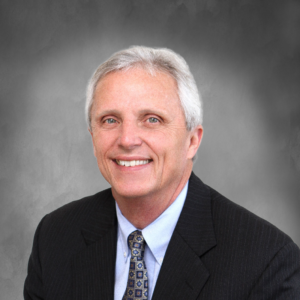 Tim spent 8 years as a Senior Vice President and Managing Director for Morgan Keegan and Company, Inc. after working at Smith Barney for 14 years. His prior employment includes serving as Managing Vice President of Fifth Third Bank’s Institutional Trust Employee Benefits Division. Tim has worked with qualified retirement plan sponsors for over 30 years. His expertise and dedication to this sector of the business have earned him membership in the Retirement Partners Group at LPL Financial. The Retirement Partners Group is an exclusive group of advisors who meet specific guidelines for number of plans served, plans assets advised, and years of exemplary retirement plan expertise. As a member of the Retirement Partners Group, he agrees to abide by the guiding principles of Compliance, Diligence, Confidentiality, Competence, Integrity, Disclosure, Identification, and Furtherance of the Industry. He has obtained the designation of Accredited Investment Fiduciary. Tim graduated from Thomas More College with a Bachelor of Arts in Economics. LPL Financial, a wholly owned subsidiary of LPL Financial Holdings Inc. (NASDAQ:LPLA), is a leader in the financial advice market and serves $485 billion in retail assets. The Company provides proprietary technology, comprehensive clearing and compliance services, practice management programs and training, and independent research to more than 14,000 independent financial advisors and more than 700 banks and credit unions. LPL Financial is the nation's largest independent broker-dealer since 1996 (based on total revenues, Financial Planning magazine, June 1996-2014), is one of the fastest growing RIA custodians with $105 billion in retail assets served, and acts as an independent consultant to over an estimated 40,000 retirement plans with an estimated $120 billion in retirement plan assets served, as of March 31, 2015. In addition, LPL Financial supports approximately 4,300 financial advisors licensed with insurance companies by providing customized clearing, advisory platforms, and technology solutions. LPL Financial and its affiliates have 3,352 employees with primary offices in Boston, Charlotte, and San Diego. For more information, please visit www.lpl.com. Securities offered through LPL Financial, Member FINRA/SIPC. Investment advice offered through Eukles Asset Management, a registered investment advisor. Eukles Asset Management and Eukles Wealth Management are separate entities from LPL Financial. LPL Financial and Financial Times are not affiliated entities.